After suffering a season-ending injury last year, junior William Duncan is excited to be back on the court as part of the men’s tennis team. “It was miserable not being able to play,” Duncan said. During his first year, he started experiencing extreme pain in his shoulder, especially when serving. After a visit to the doctor, he discovered that he had a SLAP tear. 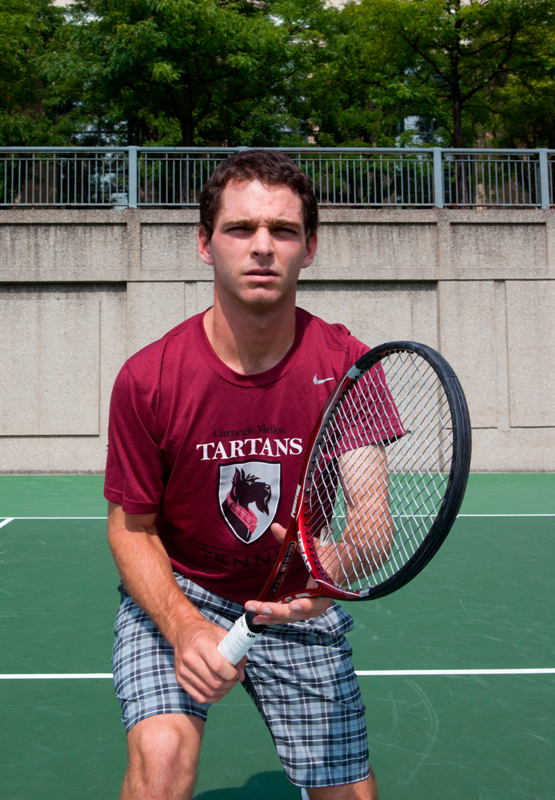 Deciding to get the necessary surgery was difficult, but Duncan persevered through a year without tennis. “I am still trying to get back to where I was,” Duncan said. Though he doesn’t claim to be back to 100 percent, the results suggest he is getting close. After five matches, Duncan remains undefeated. 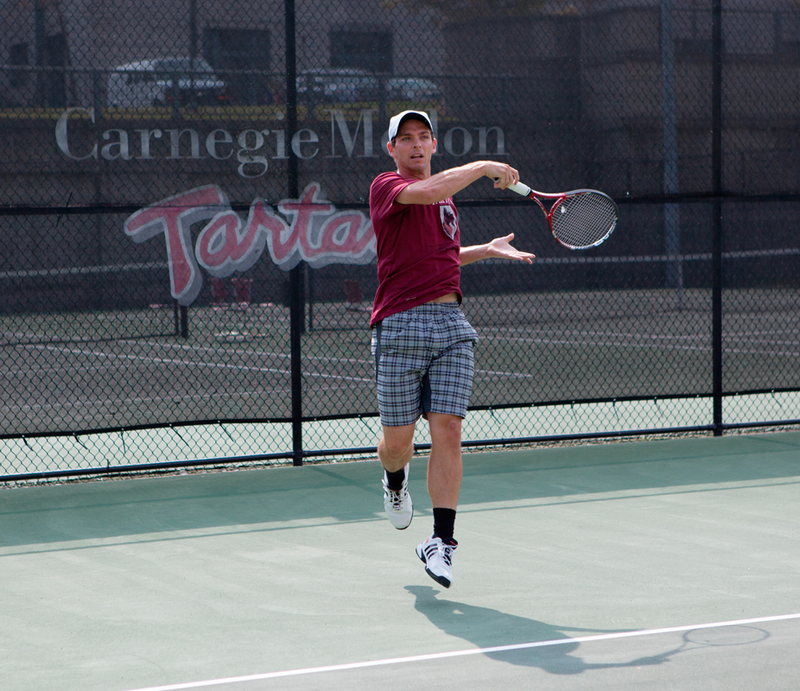 Duncan was also named the University Athletic Association Men’s Tennis Athlete of the Week Sept. 1–7. The team — which has a short fall season — will compete next in the Intercollegiate Tennis Association (ITA) Regional Tournament in Fredericksburg, Va. this weekend. The winner of the tournament will play in the ITA National Small College Championships in Florida. Although the team has fallen short of making the national tournament in the past, Duncan believes that this year the goal is within reach. “We have high expectations. We expect to make the NCAA,” Duncan said. If they do, Duncan will be a big reason why. “[His] desire and heart has always been unquestionable; [they] are something any family would love to have on their team,” said his doubles partner, junior Christian Heaney-Secord. Duncan is a computational and applied mathematics major looking to double major in computational biology and hoping to go to graduate school for bioinformatics. Having started playing tennis at the age of 6, Duncan has grown through tennis both as a player and as a person. When asked what his favorite part about tennis was, Duncan excitedly mentioned the competition. “When you win, it’s like you’re better than the other player and you’re just proving that,” he said with a light in his eyes. Winning, however, isn’t everything to Duncan; using his entire potential is much more important. After every match, Duncan wants to feel he played his best even if he loses. 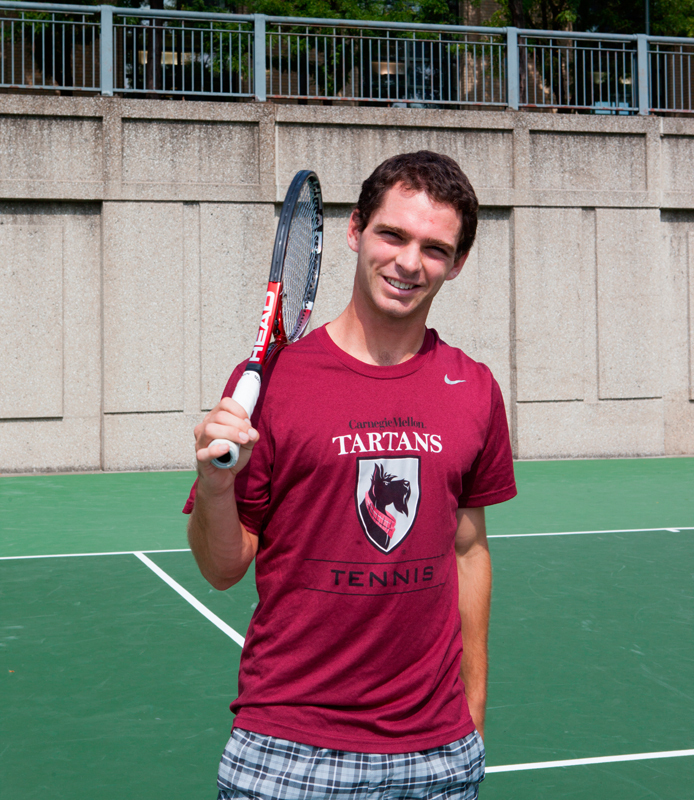 While tennis is largely an individual sport, Duncan also embraces playing as part of a team. “Everyone cares, everyone wants to win, [and] everyone is working really hard to get better. And it’s good to be in that kind of environment; you can push each other,” he said. His teammates are also glad Duncan is returning to the courts. “Willy Dunks is quite possibly the hardest working and most dedicated person I have ever met,” Heaney-Secord said. As a team member, Duncan also plays an important leadership role. One of his newest teammates, first-year Kenny Zheng, has found Duncan to be someone he can look up to. “[His] work ethic and determination make him a great role model for the rest of the team,” Zheng said. After he finishes college, Duncan hopes to continue playing tennis competitively, though he recognizes that it may not be as accessible. Until then, Duncan will try to make the most of his time at Carnegie Mellon.